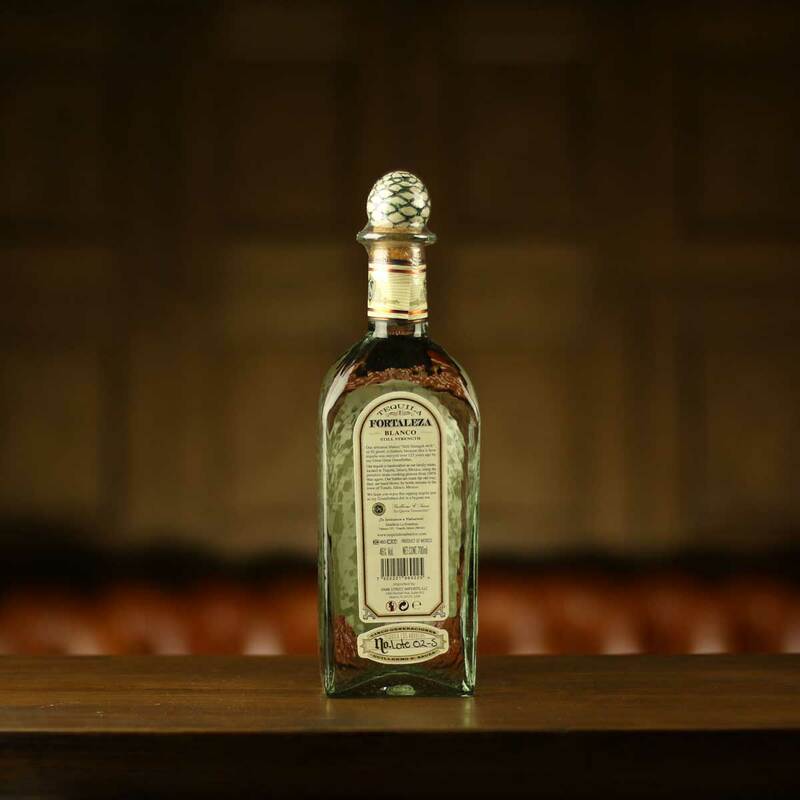 Traditionally crafted Blanco Tequila using 150-year-old production methods requiring time and care. Fortaleza selects and harvests only the ripest Agave for their Tequila. Using 150-year-old methods and traditional equipment, the Agaves are slowly cooked in a brick oven over 2 days. Once cooled, the sweet juice is extracted with a 2-ton tahona wheel (large round volcanic stone) that crushes the cooked Agave under its weight. Fermentation of the Agave juice takes 4 days and occurs in open-air wooden tanks, using both natural and a special yeast strain that has been in the family for generations. 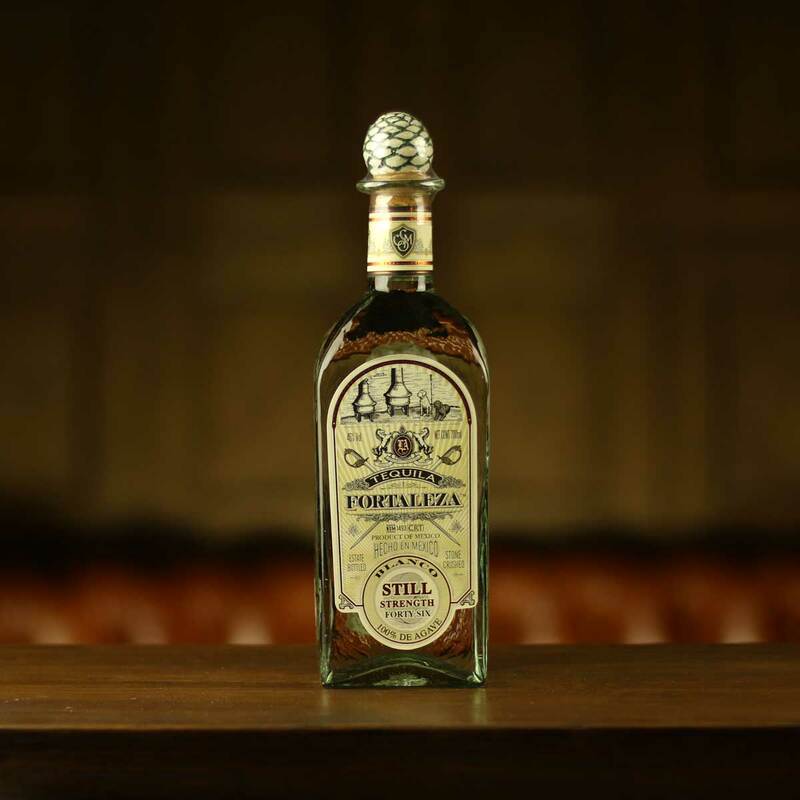 Fortaleza is distilled twice in two 100-year-old copper pot stills and the Blanco is rested in stainless steel tanks for a couple of days before spring water is added. 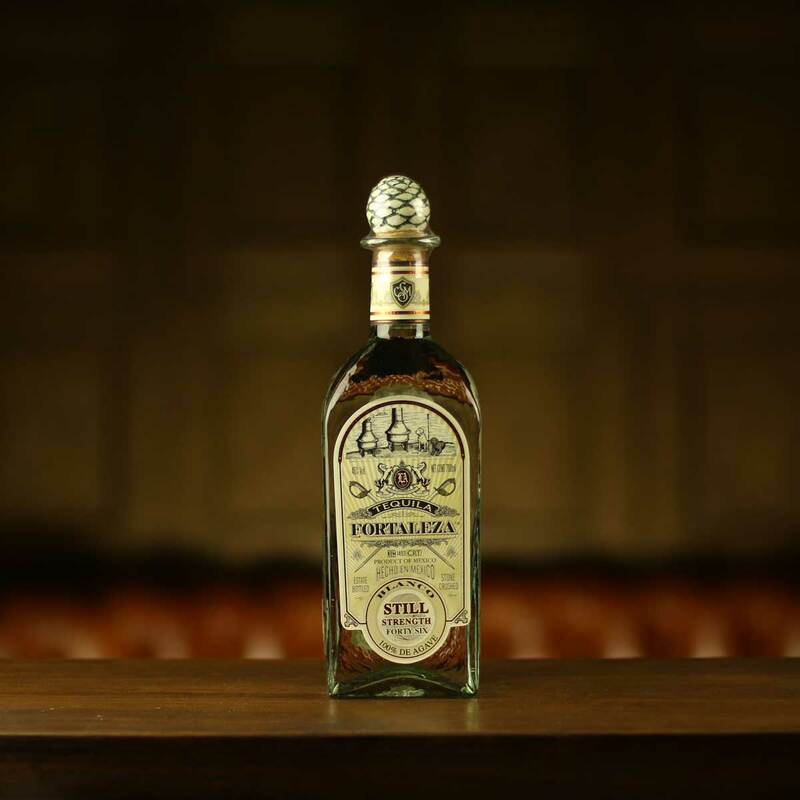 Bottled in hand-blown bottles, Fortaleza is as close as you’re going to get to what Tequila tasted like 100 years ago. Nose: Fresh citrus, black peppercorns and sweet cooked agave. Taste: Mineral notes, green olives and an earthy sweetness. Finish: Floral vanillas, green herbs and white pepper. Overall: Fortaleza Blanco is a true aficionado’s Tequila. If the person you’re buying for is a fan of the Fortaleza Blanco you could also try Ocho Blanco, Arette Blanco or Herradura Plata.